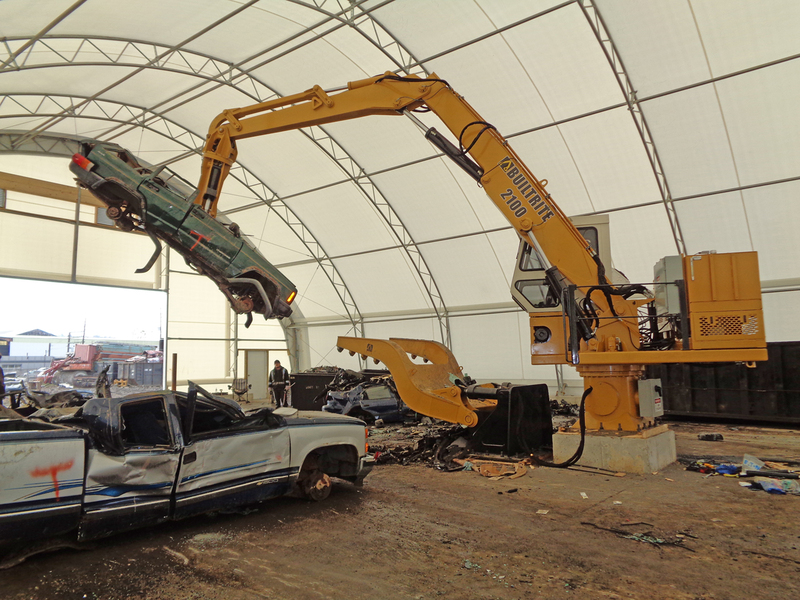 Builtrite has been supplying products to the auto recycling industry for over 20 years, including combining our stationary electric material handler, in conjunction with our auto processing system (Please see photo below). In April of 2017, Builtrite LLC partnered with SAS Forks, located in Luxemburg, Wisconsin. SAS offers a much wider range of tools for this industry, including the Extreme Auto Processor (excavator mounted), Scorpion Engine Puller (front end loader mounted) and a wide variety of automobile handling and crushing forks. For more information on SAS, please click on the link below.